The American breakfast table has changed dramatically since the Pilgrims landed and settled in Massachusetts in 1620. Rising early to begin their chores, our forefathers began the day with a spartan meal of cider and corn meal mush cooked over the embers all night, topped with maple sugar or molasses, according to the Oxford Encylopedia of Food and Drink in America. Today we have a striking selection of breakfast choices, but most Americans pressed for time in the morning do not take advantage of this largesse. Many eat no breakfast at all, and others choose a quick breakfast of cereal, coffee and some fruit, according to one of the largest surveys ever conducted on breakfast and morning mealtime routine. Kellogg Co. (www.kelloggs.com), Battle Creek, Mich., surveyed more than 14,000 Americans of varying ethnicities, income levels, geographic regions and ages earlier this year and found that while the vast majority of Americans feel breakfast is important, the reality of hectic mornings makes it difficult to fit the meal in every day. While more than half (54 percent) of all adults would like to eat breakfast every day, only one-third (34 percent) actually do; Nearly all moms (89 percent) want their kids to eat breakfast every day. However, 40 percent of moms report their children don't eat breakfast daily. According to a survey by the Food Channel, in conjunction with CultureWaves and the International Food Futurists, breakfast is hot. 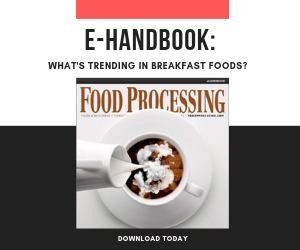 The Top Ten Breakfast Trends for 2011, finds fully 95 percent of survey respondents view breakfast as very or somewhat important, about two thirds eat breakfast every day without fail and the same percentage eat breakfast at home, while nearly 25 percent eat breakfast at work. Eggs are the food they eat more often at breakfast (50 percent), and about 25 percent each say they eat hot or cold cereal most frequently. Eggs Crack the Top Ten-- Eggs to hatch a big comeback this year thanks in part to a just-released report on a nutritional re-evaluation of eggs conducted by the USDA that shows today's eggs are healthier than previously believed. Nearly all toddlers and preschool-age children are eating breakfast; however, consumption of breakfast dips as American children grow older. 77 percent of young children eat breakfast every day, but the number falls to 50 percent in the middle-school years and 36 percent among high school students. Although moms report a desire to see their kids relax in the morning and concentrate on eating breakfast, many kids are too busy watching television, getting their homework done or getting ready for school to do so. Agriculture Secretary Tom Vilsack marked National School Breakfast Week (March 7-12) by emphasizing the administration's commitment to provide school children with healthy, well-balanced meals to prepare them for a productive school day. Working with First Lady Michelle Obama's Let's Move! initiative, USDA is enhancing programs that will help to raise a healthier generation of students who will enter the classroom ready to concentrate, engage and learn. "A nutritious breakfast will help our children learn better and have the energy needed for academic success," said Vilsack. "By ensuring all children have access to a healthy breakfast, we help lay the groundwork for a successful day and build a foundation for achievement that will help our kids win the future." The USDA says a good breakfast — including protein, plenty of fiber, fruit, nuts and dairy — boosts metabolism and benefits the brain. Studies show a morning meal enhances memory and cognitive function, ensuring you will have a clear head and maintain focus at work or at school. Many studies demonstrate that dieters who eat breakfast are less hungry throughout the day, so they take in fewer calories. The majority of people who eat breakfast are less likely to be overweight, and over 90 percent of successful dieters usually eat breakfast, according to data from the National Weight Control Registry. Over the next decade, consumption of heat-and-eat breakfast foods, such as bagels and frozen pancakes, will grow in the U.S., according to market research firm NPD Group Inc. Healthy changes already are under way. Bread, bagels, English muffins, tortillas, pancakes and waffles now come in healthy multi-grain options. Many of these traditional baked items now have gluten-free options. Healthy carbohydrates found in nuts and legumes are always an excellent way of adding energy in the morning. Eating these carbs with soluble fiber will help slow down the rate of digestion and keep you full longer. Added sugars are under the microscope, yet honey seems to maintain a healthy halo. "Honey has become the go-to ingredient for breakfast foods not only for its sweet flavor, but because it's completely natural and serves as an energy booster," says Emily Manelius, communications specialist at the National Honey Board (www.honey.com), Firestone, Colo. "Honey is composed primarily of carbohydrates [natural sugars] and water, as well as trace enzymes, minerals, vitamins and amino acids, which provide a natural energy boost without any added ingredients." Honey already is one of the most popular and versatile ingredients for breakfast foods. "There are literally hundreds of cereal combinations that incorporate honey," says Manelius. "In addition, many large scale bakeries that offer bagels, English muffins, bread and biscuits have launched a honey variety." In the breakfast bar category, honey oat is a common flavor, and many other varieties incorporate honey for its natural sweetness, texture and moisture preserving capabilities. "Honey is an ingredient that can be incorporated into all breakfast foods ranging from sweet or savory to crunchy or chewy," she says. "The expansion of honey in breakfast products can be attributed to the fact that consumers are looking for cleaner labels when shopping for products," Manelius continues. "They want to be able to recognize the ingredients on the label when making a purchase, and honey eliminates the need for added sweeteners and flavorings because of its naturally sweet and distinctive flavor." If you want to add sweetness without calories, a favored non-nutritive sweetener from the beverage world is starting to make inroads into baked goods and other categories. "Manufacturers are increasingly trying to create healthier breakfast bars by reducing sugar and adding proteins and other functional ingredients like fiber, vitamins and minerals," says Diana Peninger, general manager of Nutrinova Inc. (www.celanese.com), Dallas, a Celanese Corp. business unit. "So Sunett is the ideal sugar replacer for manufacturers looking to create healthier breakfast foods." Sunett is the brand name for Nutrinova's high-intensity sweetener acesulfame potassium (ace-K). "Not only does its upfront sweetness offer masking of unpleasant ingredients, but it offers an excellent taste profile with other sweeteners. "Sunett's excellent heat stability allows it to be used in a wide variety of processing conditions for cereal bars, and gives you high flexibility within your production process," she continues. "Sunett is easily incorporated into bars or chocolate for enrobing by using 0.04-0.10 percent of Sunett in nutrition bars and 0.10-0.20 percent in chocolate coatings." American consumers finally are embracing the message behind prebiotics and intestinal health. And fiber received a big boost from the 2010 Dietary Guidelines. General Mills and Kellogg have huge marketing efforts pushing the value of fiber at breakfast time. NutraFlora is a non-GMO and label-friendly, natural prebiotic fiber from Westchester, Ill.-based Corn Products International (www.cornproducts.com). It's a simple way to deliver soluble fiber and the related health benefits of improved calcium absorption and strengthened digestive and immune systems. The better-for-you marketing umbrella was made to order for the expanding granola/yogurt/snack bar/stick category, according to the Lempert Report. Many bars and sticks with health claims zoomed off retail shelves, as consumers looked for ways to improve what they eat, according to Nielsen LabelTrends data in U.S. food stores (excluding supercenters) for the 52 weeks ended November 27, 2010. Branded sales accounted for $939.3 million of this $1.03 billion segment total. The equivalized unit volume (EUV) of 16-oz. basis, prepackaged, UPC-coded products only of: Granola and yogurt bars, its No. 1 segment, is on a four-year growth streak and dollar sales passed the $1 billion threshold in U.S. supermarkets (excluding supercenters) for the first time and dollar sales were up 4.1 percent to $1.03 billion, on a 7.8 percent EUV increase. Health bars and sticks – the No 3 segment – posted the most dramatic recent gains. After three straight years of dollar sales growth of less than 1 percent, sales rose 21.0 percent to $359.7 million, on a 23.6 percent EUV gain. Brands accounted for virtually all sales in this segment - $353.2 million, up 20.6 percent -- while private label gained traction too. Fat claims on the package rose 34 percent; Granola and yogurt bars with vitamin and mineral claims jumped 69 percent; Health bars and sticks with calorie claims were up 66.5 percent; Granola and yogurt bars with antioxidant claims soared 437.1 percent and Health bars and sticks with fiber claims climbed 52 percent. In contrast, branded breakfast bars, the No. 2 segment at about half the size, decelerated over the past four years, posting a 0.4 percent decline to $495.9, but private label advances were in the double digits in each of the past four years. NutraFlora is a short-chain fructooligosaccharide (scFOS) derived from beet or cane sugar using a natural fermentation method, resulting in 95 percent scFOS. It is heat stable and non-reducing, does not undergo Maillard reaction in the presence of protein and heat, so it prevents excessive browning in baked goods. Slightly sweet, and with only 1.5kcal/g, it can be used in reduced-sugar and reduced-calorie applications. "As a prebiotic fiber, NutraFlora is ideal for inclusion into breakfast foods [including] cereal and breakfast bars," says Loretta Kelly, product manager for health and nutrition. "With long-term consumption, NutraFlora prebiotic fiber may help to support overall health benefits related to increasing beneficial bacteria in the gut." NutraFlora passes intact through the upper gastrointestinal tract, arriving in the colon where it is fermented by beneficial bacteria into short-chain fatty acids (SCFA). The production of SCFA is associated with enhanced mineral absorption and improved digestive and immune health, she says. Supported by more than 200 studies highlighting its health benefits for bone, digestive and immune health, "NutraFlora has been known to increase beneficial bacteria in the gastrointestinal tract with as little as 1g per day," Kelly adds. NutraFlora provides a variety of meaningful claim opportunities at low inclusion levels, adds Juliana Zeiher, business development manager. "It can be easily incorporated into a wide variety of applications without negatively impacting the finished product. It delivers numerous functional advantages, such as water-binding for texture improvement, extended shelf-life and moisture retention. Its non-viscous nature allows it to be incorporated into the mixing stage in extruded products. Alternatively, it can also be sprayed onto extruded cereal, helping to improve coating adhesion. In non-yeast leavened baked goods, NutraFlora can be incorporated into the batter or dough prior to mixing," she explains. She says many popular breakfast foods are fortified with this effective prebiotic. "Foods enhanced with NutraFlora can be identified by the green leaf seal on product packaging, and include such better-for-you products as Barbara's Bakery cereals, DeWaflebakker's frozen waffles and pancakes and Monkey Brains granola bars and oatmeal." "For food processors, blueberries are a smart breakfast food ingredient, not only because of their clean-label consumer appeal and flavor; but also for their ease of formulation and year-round availability in many convenient formats [whole, fresh or dried, freeze-dried, as puree, concentrate, juice, etc. ]," says Thomas Payne, industry specialist for the U.S. Highbush Blueberry Council (www.blueberry.org) Folsom, Calif.
"Blueberries are a natural with breakfast options from blueberry bagels and pancakes, to blueberry pastries and blueberry breakfast bars," he continues. Aside from their versatility in product categories — yogurt, dairy, beverages or baked goods — Payne points out their synergy with so many other ingredients from sweet to spicy to savory. "Blueberries are synergistic with oats, amaranth, buckwheat, chia, millet, quinoa, sorghum, teff, kamut, farro, spelt, etc.," he says. "With heightened interest in gluten-free products, blueberries are a popular ingredient; their presence lends the gluten-free formulations a homey and old-fashioned attraction. Blueberries can serve as the basis for vegan bars and other special diet bars. They are also compatible with nuts and seeds." There are lots of good things to add to breakfast products, but there remain two key ingredients to eliminate: trans fats and saturated fats. "Monsanto has been working on a new low saturate high oleic soybean, Vistive Gold, that will soon be commercialized," says Philippe Ballet, food business development director of St. Louis-based Monsanto Co. "Vistive Gold (www.vistivegold.com) is significantly lower in saturated fat than palm oil (85 percent less), fry shortening (70 percent less), soybean oil (percent less) and even high oleic sunflower oil (percent less)," he explains. "This oil will be applicable for a variety of heavy-duty frying and baking applications and as a spray oil and blending component," explains Ballet. "We are not claiming that we are going to make donuts a healthy food, but we can make them healthier." Does eating breakfast really make you healthier? A recent study says it does.